Please call ahead to confirm meeting day/time. Below is a list of resources for ovarian cancer survivors. If you have a good resource for ovarian cancer survivors, please share with us. DOCF will be establishing a Survivor Support Network. This Network will consist of ovarian cancer survivors to help those recently diagnosed with ovarian cancer and/or in treatment for ovarian cancer. Please contact us to become part of this much needed Survivor Support Network. Any help you can offer would be greatly appreciated. Cancer Care Connection - Cancer Resource Coaching, including daily needs, workplace issues, communications, informed decisions, coping and personalized information. Free programs available for patients and their loved ones. Mission: "To coach people affected by cancer to obtain and use information and referrals to make informed decisions and to take action on their own behalf." For more information, visit cancercareconnection.org. Cleaning for a Reason - Non-profit organization that provides four free general cleanings (once a month for four months) at no charge.To sign-up, you currently must be in treatment for cancer and fill-out their online applicaton. This organization currently has over 800 insured and bonded maid services participating in this national program (several are located in Delaware). No doubt they receive many applications, so if at first you are not accepted, try again. Their website notes that only a certain number of applications are accepted per day, so if denied, try again another day and you may be accepted. Note that once you have been accepted, you will need to have your doctor send them verification of your treatment status. For more information or to register for this service, visit cleaningforareason.org. Also, if you own a cleaning company, you can sign-up to become a partner to help cancer patients in your area. Efflorescence Skin Care - Pamper yourself, relax and feel beautiful again with one of the many services offered, including (but not limited to) spa treatments, Reiki and many more. DOCF supporter and Certified Oncology Esthetician, Nancy DeCrease, T/A on staff. Mission: "With all the choices available for skin care products and spa services, my mission is to exceed the expectations of my clients. I pride myself on making people feel relaxed, comfortable and totally satisfied with the treatments they receive. I'm constantly searching for the highest quality products at the most affordable prices." For more information, visit efflorescenceskincare.com. Precision Hair & Wig - Get a great new look at this full-service salon and hair replacement center. Private consultations are available. DOCF supporter and professional hair stylist, Sandy Mercante on staff, who says, "My biggest source of inspiration comes from a chemotherapy or alopecia patient leaving the salon smiling, despite their ordeal". For more information, visit precisionhairandwig.com. Specialty Rehabilitation - Specializing in patients with special needs. Offers cancer rehabilitation (lymphedema/post-mastectomy care, gynecologic oncology, cancer-related fatigue, living with cancer) and women's health services (incontinence/pelvic floor dysfunction, osteoporosis, fibromyalgia). DOCF supporter and Degreed Occupational Therapist, Lisa Marshall, on staff. Vision: "To provide quality, personalized care for patients with specialized needs". For more information, visit specialtyrehabilitation.com. The Helen F. Graham Cancer Center, Division of Gynecologic Oncology - Located on the grounds of the Christiana Hospital. Offers an array of services and amenities, advanced medical technology and on-site laboratory allowing cancer researchers/oncologists to partner in developing treatment plans for each cancer patient. Multidisciplinary medical services, including surgeons, medical oncologists or hematologists and radiation oncologists. Treatment options include surgery (including Cyberknife robotic Radiosurgery and da Vinci robotic surgery), chemotherapy and radiation, and the latest clinical trials available. For more information, visit christianacare.org. Cancer Support Community - The country's largest network of free psychological and social support for people with cancer and their loved ones. Provides professionally led support groups and education, stress management and social networking in a home-like setting with a focus on enhancing health and well-being. Mission: "To ensure that all people impacted by cancer are empowered by knowledge, strengthened by action, and sustained by community." For more information, visit their national website at cancersupportcommunity.org. or their local website at cancersupportdelaware.org or one of their other local websites listed below. Cancer Care, Inc. - A nonprofit organization that provides free, professional counseling and support services for anyone affected by cancer. Offers online support groups, toll-free counseling line, teleconference programs, office-based services and via the internet, financial assistance. For more information, visit cancercare.org. Centers for Disease Control and Prevention - A government agency providing credible information to enhance health decisions, and promoting health through strong partnerships. The Division of Cancer Prevention and Control (DCPC) serves as a leader for nationwide cancer prevention and control and as a partner with state health agencies and other key groups. The DCPC provides consultation, assistance and training to state and local public health agencies and other health care provider organizations to improve education, training, and skills in the prevention, detection, and control of selected cancers, including breast, cervical, colorectal, prostate, ovarian, and skin cancers. For more information, visit their national website at cdc.gov/cancer or their local website at dhss.delaware.gov. Conversations! - International Newsletter for Those Fighting Ovarian Cancer. A monthly newsletter written by an ovarian cancer survivor, reports on treatment options, clinical trials, coping skills, and early detection strategies. Offers humor and an upbeat tone. Networking service to match women in similar circumstances. The newsletter is part of nonprofit Conversations! The International Ovarian Cancer Connection. Visit their website at ovarian-news.org. Gilda Radner Familial Ovarian Cancer Registry - International registry of families with two or more close relatives who have been diagnosed with ovarian cancer. Offers a helpline, education and peer support for women with a high risk of ovarian cancer. Provides information and links about ovarian cancer. One of the Registry goals is to identify new genes associated with familial ovarian cancer. For more information or to register, visit ovariancancer.com. Gildas Club - A nonprofit organization, providing a place where people living with any type of cancer, their families, and friends can join others to build social and emotional support as a supplement to medical care. Services are offered free of charge. There are Gildas Clubs open across the U.S., Canada and London, England. For more information, visit their national website at gildasclub.org or their local website at gildasclubdelval.org. Gynecologic Cancer Foundation - A nonprofit organization established by the Society of Gynecologic Oncologists (SGO) to support ovarian cancer research, training of cancer specialists in laboratory research, and a variety of programs for patient education and public awareness of gynecologic cancers. Provides a list of specialists in gynecology oncology, a nation-wide directory of all SGO members, and informational literature. Mission: "To support research, education and public awareness of gynecologic cancer prevention, early detection and optimal treatment." For more information, visit thegcf.org. Also sponsors an interactive web site called the Womens Cancer Network (wcn.org), which offers understandable medical information about gynecologic cancers, treatment options, and experimental therapeutic programs. By answering specific questions, a woman will be told her risk for developing gynecologic and breast cancers and how to change those risks. National Cancer Institute (NCI) Cancer Information Service - A component of the National Institutes of Health (NIH), one of eight agencies that compose the Public Health Service (PHS) in the Department of Health and Human Services (DHHS). The governments principal agency for cancer research and training. The National Cancer Institute coordinates the National Cancer Program, which conducts and supports research, training, health information dissemination, and other programs with respect to the cause, diagnosis, prevention, and treatment of cancer, rehabilitation from cancer, and the continuing care of cancer patients and the families of cancer patients. Trained information specialists provide information by telephone and online through the NCIs Live-Help Instant Messaging service on topics related to specific cancers, cancer treatments, and coping strategies. Also provides information on all types of cancer and on Clinical Trials. For more information, visit cancer.gov or their ovarian cancer pages at cancer.gov/cancertopics/types/ovarian. National Coalition for Cancer Survivorship (NCCS) - Founded in 1986 by and for people with cancer and those who care about them. Oldest survivor-led organization advocating on behalf of this countrys millions of survivors of all types of cancer and those who care for them. Educates, empowers, and unites survivors and their communities through its publications and programs, while representing their voice in Washington on policy issues that affect their ability to access quality cancer care. Website has information on all cancer types, including clinical trials access and enrollment information. Mission: "NCCS's mission is to lead and strengthen the survivorship movement, empower cancer survivors, and advocate for policy issues that affect cancer survivors' quality of life." For more information, visit canceradvocacy.org. National Ovarian Cancer Coalition (NOCC) - National non-profit volunteer-based organization committed to improving the survival rate and quality of life for women diagnosed with ovarian cancer. Good source for ovarian cancer related news, useful links, and information for the newly diagnosed, survivors and caregivers. Mission: "To raise awareness and promote education about ovarian cancer. The Coalition is committed to improving the survival rate and quality of life for women with ovarian cancer." For more information, visit their national website ovarian.org or their local website at ovarian.org/chapter. Ovarian Cancer Canada - A registered Canadian charitable organization. Mission: "To overcome ovarian cancer, providing leadership by: Supporting women living with ovarian cancer and their families; raising awareness in the general public and among healthcare professionals; and funding research to develop early detection techniques, improved treatment and ultimately a cure." For more information, visit ovariancanada.org. Office On Womens Health - The OWH (within the U.S. Department of Health and Human Services) provides national leadership in advancing womens health through public policy, research, service delivery, and education. The OWH develops, stimulates, and coordinates womens health research, health care services, and public and health professional education and training across the agencies of the Department of Health and Human Services. Programs include the Centers of Excellence in Womens Health. These centers provide integrated and comprehensive clinical services, including regular screening for breast and gynecological cancers, as well as research on womens health issues. The OWH also developed the National Womens Health Information Center (NWHIC). This gateway to over 800 topics on womens health, including reproductive health, is accessible through the website womenshealth.gov/owhand the toll-free phone service (800-994-9662). Ovarian Cancer National Alliance - National organization advocates for increased federal funding for research for early detection test, improved health care, life-saving treatment protocols, and a cure. 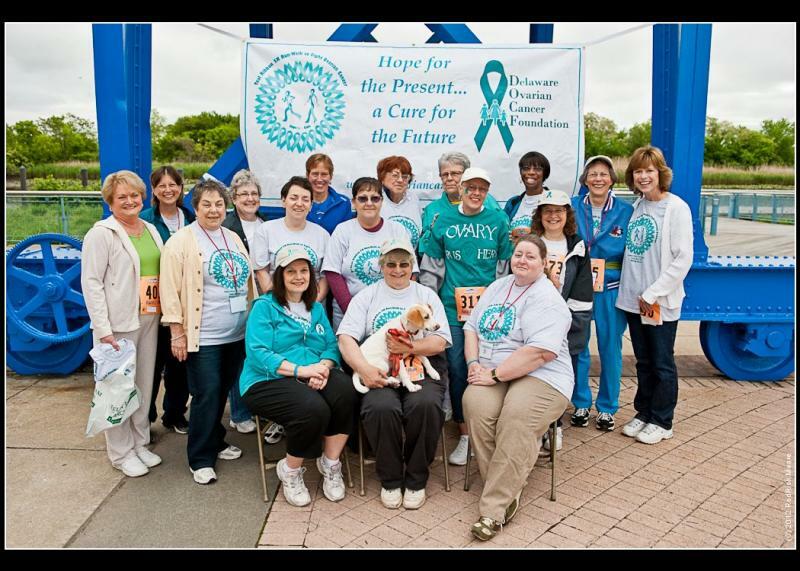 Provides education to health care professional and raises public awareness of the signs and symptoms of ovarian cancer. Website has information on ovarian cancer, resources, clinical trials, and ways to "Take Action", including how to contact appropriate parties to join the fight against ovarian cancer. Mission: "To remain objective in providing information to the ovarian cancer community; we do not endorse any particular treatment, therapy, clinical trial or product." For more information, visit ovariancancer.org. Ovarian Problem Discussion Checklist - A free online lifeline for everyone affected by cancer and related disorders, including an email support group that allows survivors/others a chance to exchange information and support daily. The list is not monitored for medical accuracy. To subscribe to the ovarian cancer list, go to listservacor.org, which is available through the Association of Cancer Online Resources (ACOR) website acor.org. ACOR is a non-profit organization. Mission: "To improve the quality of care provided to cancer patients and the quality of life of patients, survivors and their caregivers." Patient Advocate Foundation - National non-profit organization that serves as an active liaison between patients and their insurers, employers and/or creditors to resolve insurance, discrimination and/or debt crisis matters through case managers, doctors and attorneys. Patient Advocate Foundation seeks to safeguard patients through effective mediation, assuring access to care, maintenance of employment and preservation of their financial stability. Mission: "To provide effective mediation and arbitration services to patients to remove obstacles to healthcare including medical debt crisis, insurance access issues and employment issues for patients with chronic, debilitating and life-threatening illnesses." For more information, visit patientadvocate.org. Share: Self-Help for Women With Breast or Ovarian Cancer - Non-profit organization providing educational program and survivor-led emotional support to those affected by ovarian and breast cancer. Information hotlines for breast and ovarian cancer. In English and Spanish. Providespeer-led support groups; wellness, education; and advocacy programs. Contributes to awareness regarding prevention, early detection, and research. All programs are free. Mission: "To create and sustain a supportive network and community of women affected by breast or ovarian cancer. SHARE brings these women and their families and friends together with others who have experienced breast or ovarian cancer, and provides participants with the opportunity to receive and exchange information, support, strength and hope." For more information, visit sharecancersupport.org. Society of Gynecologic Nurse Oncologists - An international organization of nurses and health professionals dedicated to the advancement of patient care, education, and research in the field of gynecology oncology and womens health care. For more information, visit sgno.org. Society of Gynecologic Oncologists - A national medical specialty organization of physicians, surgeons and healthcare professionals trained in the comprehensive management of women with malignancies of the reproductive tract. The overall purpose of the SGO is to improve the care of women with gynecologic cancers and to raise the standards of practice in the treatment and prevention of gynecologic malignancies. Mission: "To promote and ensure the highest quality of comprehensive clinical care through excellence in education and research in gynecologic cancers. "Visit their website at sgo.org. The Ovarian Cancer Research Fund, Inc. - National non-profit organization that helps ovarian cancer patients and their loved ones understand ovarian cancer and its treatments. Provides outreach programs to raise public awareness. Mission: "To fund research to find a method of early detection and ultimately a cure for ovarian cancer." For more information, visit ocrf.org.